At Homes for Students, we provide flexible tenancies for students who need short-term accommodation in St Andrews. We can secure the most suitable arrangement for you no matter how short your stay, whether it is for a fortnight or the remainder of the academic year. Situated in the charming and historic town of St Andrews, East Shore has stunning views across a beautiful sandy beach and beyond to the North Sea. Opposite is East Sands Leisure Centre where you can enjoy a swim, fitness classes or a work-out in the well-equipped gym! 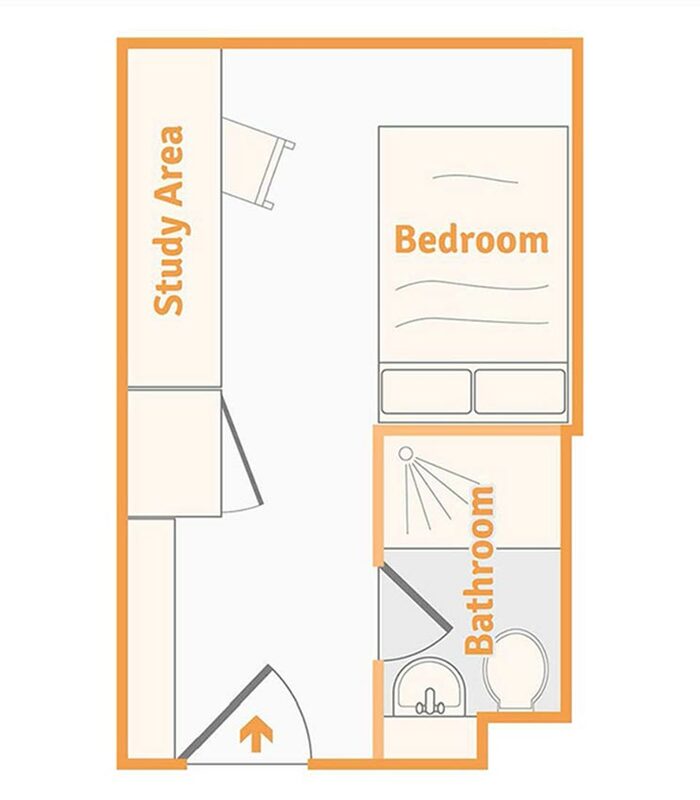 You will enjoy the same facilities and perks as the full academic year student residents at East Shore, such as large rooms, high speed Wi-Fi, modern communal areas, and on-site laundry. All utility bills are included in your rent payment, which makes it simple to budget. En-suite bedroom measuring 12.5m² with a ¾ bed, en-suite bathroom, study area and wardrobe. The shared area includes a lounge and kitchen area with TV and up to 100Mbps WIFI throughout. Situated directly on the beach this property has some of the most stunning views in the UK. St Andrews has an abundance of activities available including cycling, horse riding, sailing, surfing, and even sky diving! Other fascinating attractions include St Andrews Aquarium, Kellie Castle and the hidden gem that is Scotland’s Secret Bunker - a 24,000 square foot remnant of the Cold War. St Andrews is located in stunning scenery, so take advantage of all the area has to offer at East Shore student accommodation.